The Government entered into the post-2018 Scheme of Control Agreements (SCAs) with the two power companies (Note 1) today (April 25). "The new SCAs reduce the permitted rate of return (RoR) of the power companies to 8 per cent. This should help relieve the public's spending on electricity bills. Other key terms of the SCAs also fully reflect the Government's commitments to reducing energy intensity and combating climate change, and meet the public aspirations expressed during the public consultation on the future development of the electricity market (Public Consultation) in 2015," the Secretary for the Environment, Mr Wong Kam-sing, said. 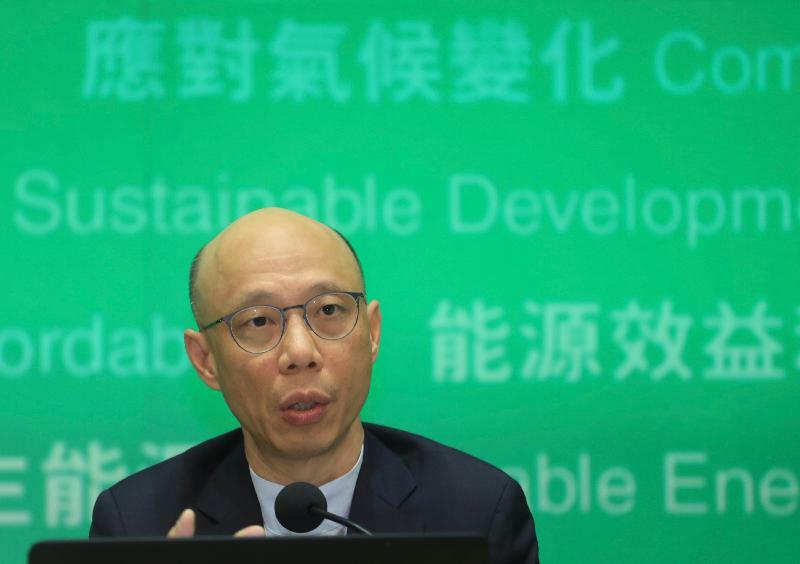 Mr Wong said that the 15-year term of the new SCAs with a RoR of 8 per cent had achieved a reasonable balance between the need to respond to public aspirations for a reduced RoR and the need to encourage appropriate investments by the power companies to meet Hong Kong's electricity demand and help improve the environment and combat climate change. As most of the existing coal-fired generating units (coal plants) will reach the end of their useful life in the next decade and the Government is committed to improving the air quality and combating climate change, the 15-year term of the new SCAs, compared to the current 10-year term plus 5-year optional period, will provide a clearer environment for the power companies to make the appropriate investments to replace the retiring coal plants with generating units using natural gas and non-fossil fuel sources. This will not only allow Hong Kong residents and the commercial, industrial and services sectors to continue to enjoy a reliable and stable electricity supply, but will also reduce the carbon intensity by 65 per cent to 70 per cent by 2030 as set out in the Hong Kong's Climate Action Plan 2030+ announced in January 2017. Under the current SCAs, if the Government does not extend the term for a further period of five years after the 10-year tenure ending in 2018, power companies will continue to earn the same rate of return of 9.99 per cent for non-renewable assets till 2023 subject to the terms of the current SCAs. Under the new SCAs, customers of CLP and HEC will be able to enjoy immediate reductions in RoR, and hence the public's spending on electricity bills will be reduced respectively from October 1, 2018 and January 1, 2019. The extent of reduction in tariffs is expected to be above 5 per cent while all other relevant factors remain unchanged, though the actual reduction will depend on factors including the balance of the Average Net Fixed Assets of the two power companies and their operating costs upon the commencement of the new SCAs. It should be noted that the increasing use of the more expensive and cleaner natural gas for power generation will exert very heavy pressure on tariffs in the next SCA period. Mr Wong added that the Government had commissioned a consultant to update the consultancy study conducted during the 2013 Mid-term Review of the SCAs. The consultant subsequently recommended that the Government could consider reducing the permitted RoR to the range of about 7 per cent to 9 per cent. "The 8 per cent RoR is within the updated range recommended by the consultant," said Mr Wong. Under the new SCAs, incentive and penalty schemes will be revamped to better encourage the power companies' performance in supply reliability, operational efficiency, customer services, promotion of energy efficiency and conservation (EE&C), as well as the development of renewable energy (RE). With the high density of skyscrapers in Hong Kong, maintaining the reliable and stable electricity supply that Hong Kong has been enjoying is essential. Hence, the incentive and penalty thresholds in relation to the power companies' operational performance will be raised where appropriate while a new performance indicator - grid supply restoration - will be introduced. "During the Public Consultation, many respondents emphasised the importance of further encouraging energy saving and promotion of RE. 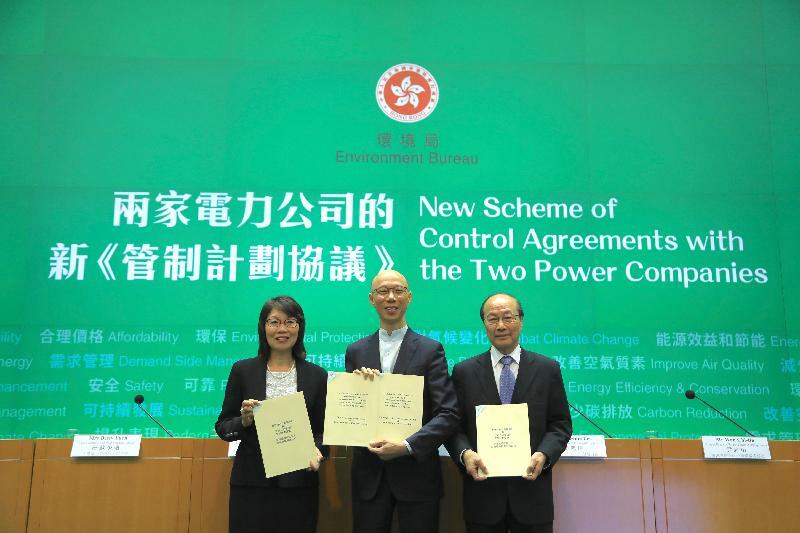 Taking on board such comments, we have added the promotion of EE&C and the development of RE to the new SCAs, making the new agreements with the power companies the greenest SCAs ever," said Mr Wong. Under the new SCAs, existing incentive schemes in relation to promotion of EE&C will be expanded while new elements will be introduced. More funds will be available under the energy efficiency funds (EEFs) of the power companies to support the carrying out of retrofitting and retro-commissioning (Note 2), including the implementation of building-based smart/IT technologies to enhance the energy efficiency of a wider coverage of buildings. The power companies will also plough back 65 per cent of the incentives they earned from energy audit and EEFs-related work to further support other EE&C programmes, such as encouraging customers to upgrade their electrical appliances to more energy-efficient models, as well as other programmes to support green building initiatives, the use of RE and disadvantaged groups. On the development of RE, the Government will introduce the Feed-in Tariff (FiT) to encourage the private sector and the community to consider investing in distributed RE as the power generated could be sold at a rate higher than the normal electricity tariff rate to the power companies to cover the cost of their investments in the RE systems and generation. At the same time, RE certificates will also be sold by the power companies for electricity from RE sources such that buyers can claim that their operation can help reduce carbon emissions. The revenue from the sale of RE certificates will be used to alleviate the overall tariff impact of the FiT scheme for all consumers. The Government has also reached agreement with the power companies to facilitate and improve the distributed RE grid connection arrangements. The Government will also put in place incentive schemes to encourage the power companies to develop RE and facilitate the development of distributed RE. Mr Wong said that in response to public feedback suggesting that the power companies have been accumulating large surplus balances in their Fuel Clause Recovery Accounts (FCAs), a more frequent Fuel Clause Charge adjustment mechanism will be introduced such that the actual fuel costs borne by the power companies will be reflected in tariffs in a more timely manner, thereby avoiding the accumulation of large FCA surplus balances. On the preparation for an open market, the Government is committed to undertaking the necessary preparatory work to pave the way for introducing potential new suppliers in future when the requisite market conditions are present. The power companies will co-operate with the Government to conduct the interconnection and grid access studies, and publish their segregated cost data in the next SCA period. He thanked all members of the public for the views expressed during the Public Consultation in 2015, as well as Legislative Council Members for their views and support. All these have contributed to the reaching of the SCAs between the Government and the two power companies. 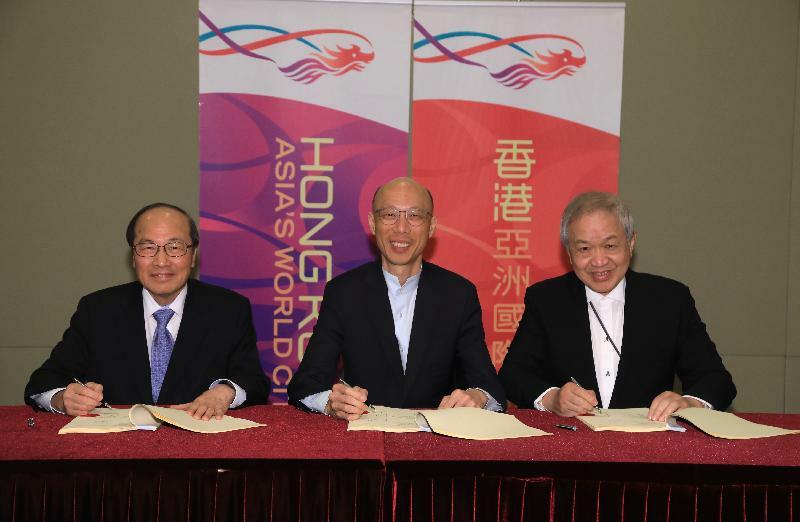 Note 1: The two power companies are CLP Power Hong Kong Limited and Castle Peak Power Company Limited (referred to collectively as CLP ); and Hongkong Electric Company, Limited and HK Electric Investments Limited (referred to collectively as HEC). Note 2: Retro-commissioning is a systematic process to periodically check an existing building's performance. The process identifies operational improvements that can save energy and thus lower energy bills.